No boat work to speak of in the last few months but I have been picking away at the shop and getting it buttoned up for winter. And speaking of winter, here in New Hampshire, it is in full swing and I'm happy to say that the shop is warm (relatively speaking) and ready for a new boat project. My last post in the shop section detailed some of the stonework my neighbor and I were doing to get the soil stabilized. Once that was done it was time to start focusing on getting the shop closed up to keep out the cold and any unwelcome visitors. 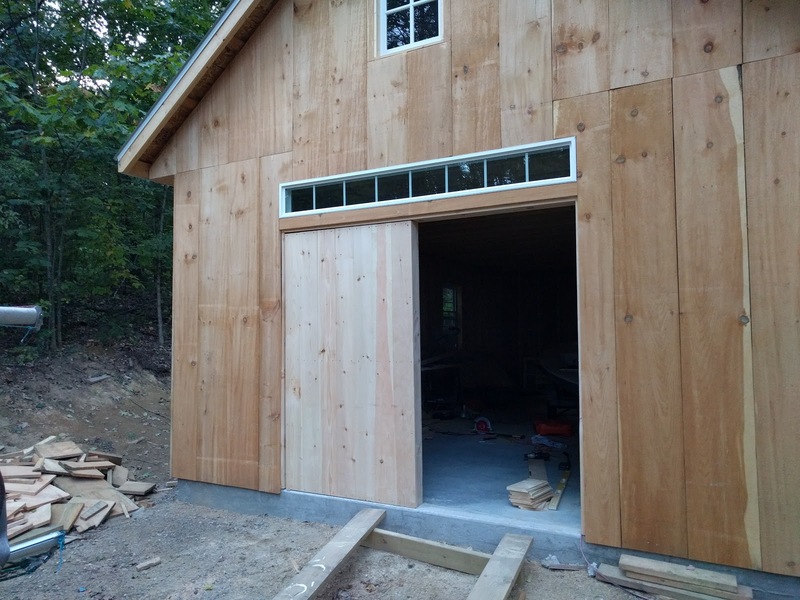 All the windows and side door were in but I had to build the barn doors before I could move any expensive tools into the area. 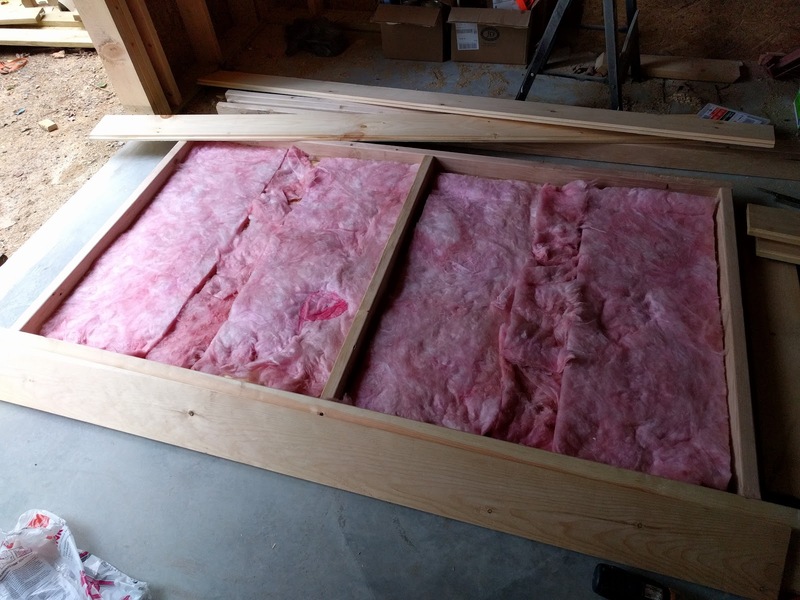 Because of our cold winters here I wanted something that was insulated and would give me a tight fit so I didn't freeze to death, so I came up with a 2x6 design sheathed in plywood with a R19 insulated core. 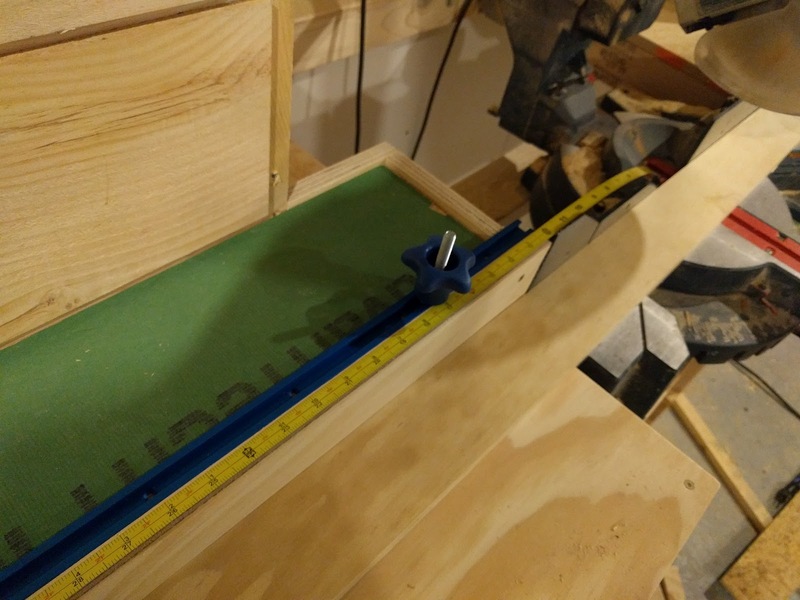 On the outside, the plywood would have cover boards to make them look like they should. Hanging them was a bit of a trick (especially since I had no help that day), but with the help of a bunch of shims and some temporary fasteners I made out alright and got them hung and swinging without much difficulty. 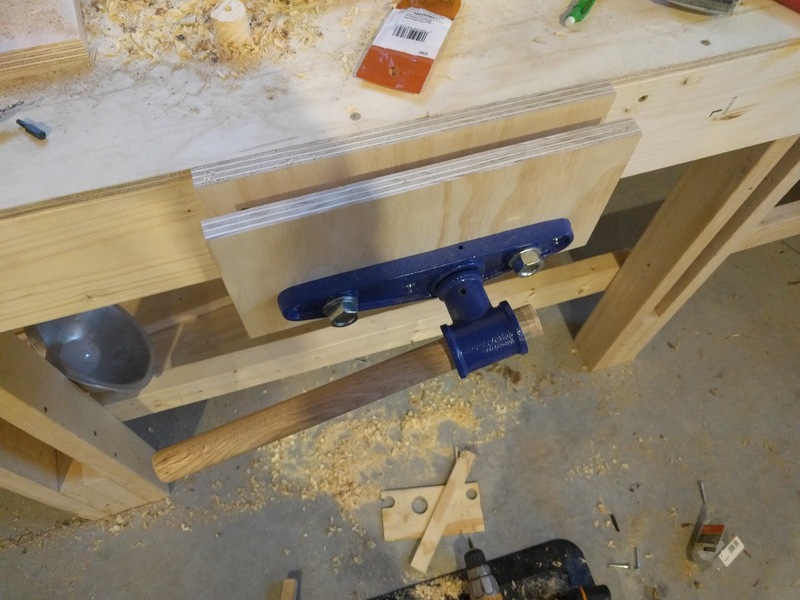 I used the biggest hinges I could find without ordering something custom and I'm pretty happy with the way they turned out. 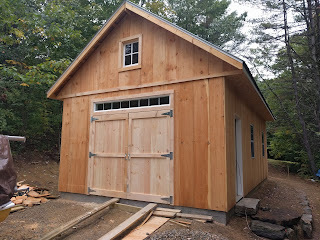 I finished up the outside by trimming out the windows and door openings with 3.5" barn board and called it done. With everything all closed up it was time to get an electrician in to put a new service line in. This ended up taking entirely too long because the power company does everything at a snails pace and I ended up waiting for 3 weeks to get them to hook up power. I worked out an arrangement with the electrician where he would install the meter socket, panel, and one outlet (1 simple circuit) and I would do the rest. By the time I finished I added 2-20 amp circuits for south wall power and north wall power as well as 3-15 amp circuits for inside lighting (1st and 2nd floors), outside lighting, I have an additional circuit ready for 220v should I need it, but right now I'm set. Next up I bought 22 rolls of R-19 kraft faced insulation rolls and insulated the hell out of the shop space and covered the walls with sheetrock. 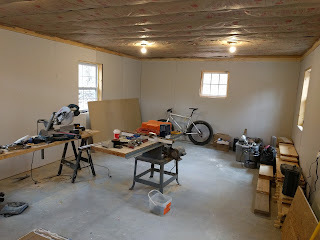 I'll probably sheetrock the ceiling at some point but it's good enough for now and I want to add some LED shop lighting to bench areas at some point and don't want to have to snake power behind sheetrock. 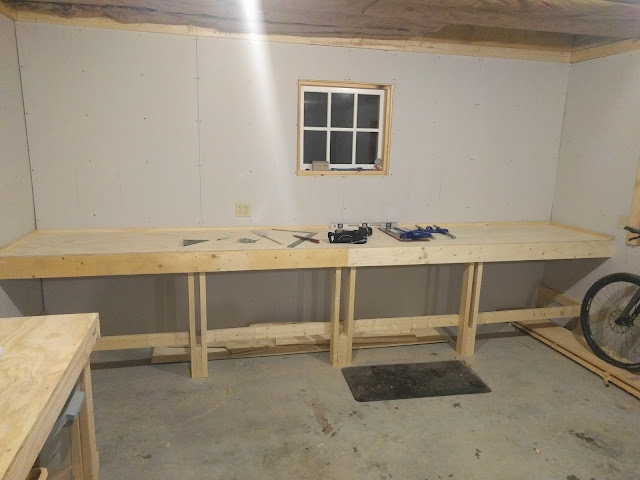 I had thought long and hard about bench configuration and while I originally thought 2 benches along each side would be good, I worried that there would be enough side to side room so I opted to shorten the space a little bit (28' -> 26') by putting one of the benches along the back wall. I had originally planned on a wood stove on the back wall, but found that even on days where it is 10 degrees F out, a tiny electric heater was all I needed to warm up the shop sufficiently to work, so I ended up gaining space, allowing for a back wall bench. 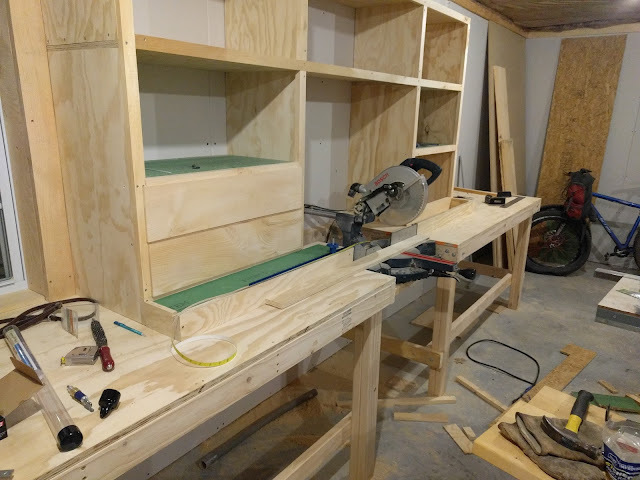 The first bench was to be along the wall and I built out a dedicated miter saw station with storage and a built in fence with accurate measurements for duplicate cutting. 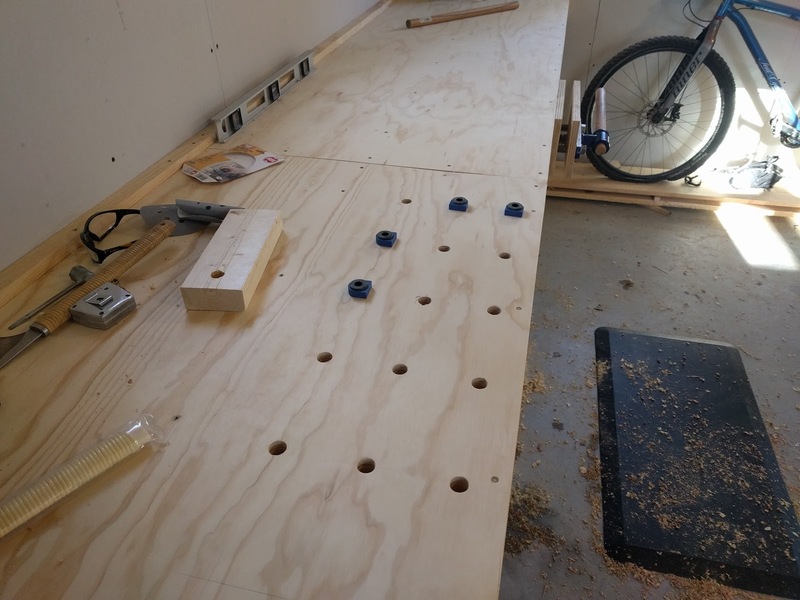 On each end of the miter saw station I have a large work area that I can put my drill press and other assorted bench power tools. On the back of the shop I built out a dedicated woodworkers bench with a large wood vice and holes for bench dogs on half of the length that spans the entire back of the shop. I still have to build some shelving underneath both benches for storage of wood and other detritus that I tend to collect, but I'm ready to move in and get to work now.